V-LCD651STX-HDI, 6.5-inch portable field / camera-top monitor is designed specifically for outdoor applications with high ambient light. Minimum surface reflection of both outdoor and indoor light, while featuring a much wider color reproduction range than typical transflective/reflective LCDs or even those with increased backlight performance. 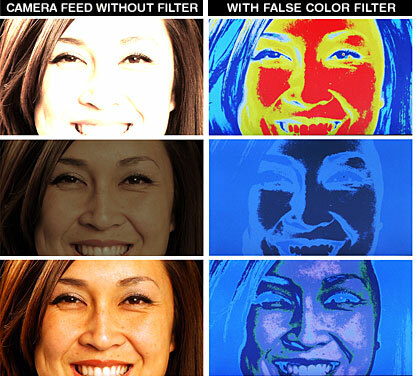 Improved visibility by producing high-contrast images and a wider viewing angle, even under diverse and challenging lighting environments. 3GSDI model also available with different battery adapters. WHY CHOOSE MARSHALL VS. CHEAPER MONITORS? The V-LCD651STX-HDI is the latest update to Marshall's line of Super Transflective Outdoor Monitors. This 6.5" portable field / camera-top monitor is designed specifically for outdoor applications with high ambient light. Our technology minimizes surface reflection of both outdoor and indoor light, while featuring a much wider color reproduction range than typical transflective/reflective LCDs or even those with increased backlight performance. 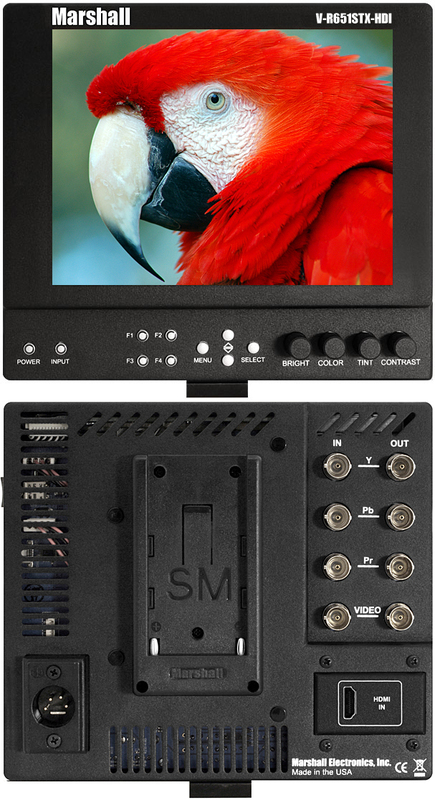 Marshall's outdoor super-transmissive LCDs provide improved visibility by producing high-contrast images and a wider viewing angle, even under diverse and challenging lighting environments. This innovative technology dramatically boosts the efficiency of the LCD backlight's light utilization, while maintaining extended temperature ratings and low power consumption for outdoor operation. 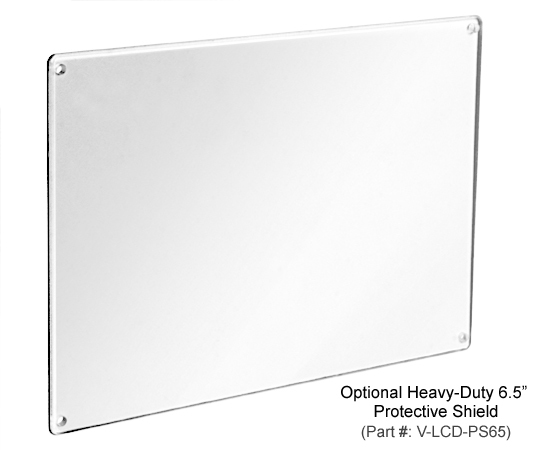 The V-LCD651STX-HDI offers a durable and lightweight design, weighing in at only 1.3 pounds. It also features our completely digital TFT-MegaPixel high resolution LCD screen with 2.4 million pixels, 4-pin XLR power jack, and optical-grade polycarbonate screen protection. Analog signals are digitized using advanced 10-bit processing with 4x oversampling and adaptive 5-line comb filter. These units also offer the ability to adapt up to nine different battery configurations for providing mobile operation in the field. This option provides flexibility when using different cameras or configurations. 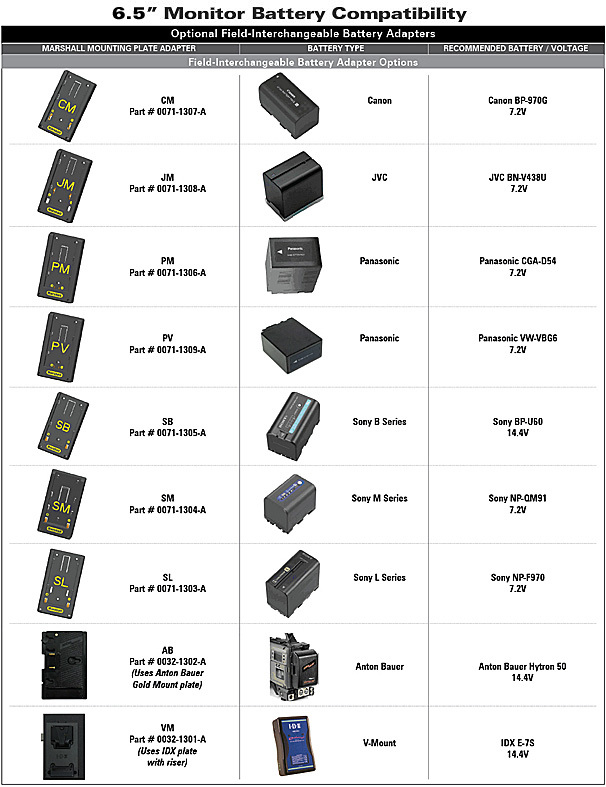 Our large selection of battery adapters can be interchanged (or "swapped" out) by the end-user. 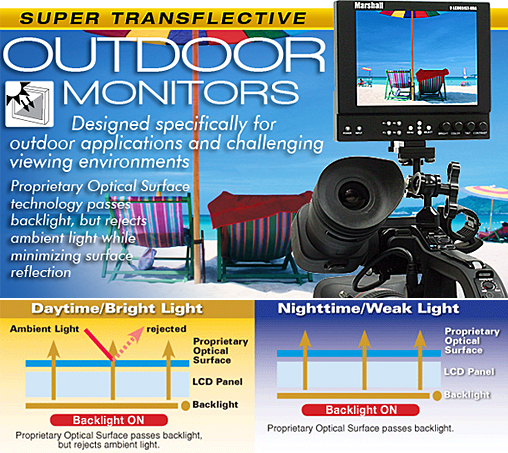 Marshall Electronics offers a full line of Super Transflective Outdoor Monitors, designed specifically for outdoor applications with high ambient light. Our technology minimizes surface reflection of both outdoor and indoor light, while featuring a much wider color reproduction range than typical transflective/reflective LCDs or even those with increased backlight performance. These outdoor super-transmissive LCDs provide improved visibility by producing high-contrast images and a wider viewing angle, even under diverse and challenging lighting environments! This innovative technology dramatically boosts the efficiency of the LCD backlight's light utilization, while maintaining extended temperature ratings and low power consumption for outdoor operation. 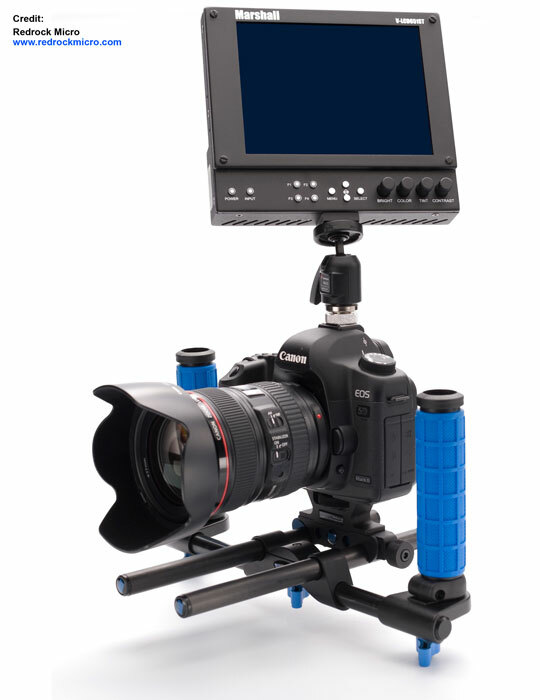 Articulating arms provide a flexible way to mount a monitor onto your camera. Supports monitors up to 10". Click Here for more mounting accessories. Camera 1/4" Hot Shoe Mount. Our products are used and embraced by major news gathering organizations, network operation and control centers, direct broadcasting and cable networks, major studios, post production houses, system integrators, and professionals worldwide.